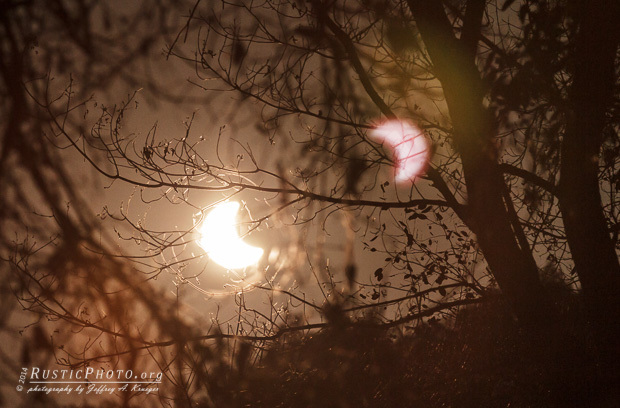 I had a few spare minutes to try and capture the eclipse through the trees in my backyard. Even with a 10 stop filter, it was still too bright to get a sharp sun, but I had the bonus of an internal reflection that mirrored the sun. I like it. Thanks. I was out with the dogs and glanced up at the trees and thought it was worth trying. Glad I did.